In response to InLink’s plans to switch free calls back on, Jonathan Moberly of the Weavers Community Action Group and Mayor John Biggs spoke to BBC London News (12 April 2019) to give their views. This entry was posted in Uncategorised and tagged asb, inlinks, wcag on 17th April 2019 by Penny Creed. The Mayor has highlighted the role residents have played in providing information that led to officers storming 19 addresses in Tower Hamlets, Hackney and Havering and 15 arrests on suspicion of supplying class A drugs. The raids specifically targeted dealers who target the Weavers Ward. Major John Biggs said: “Residents have worked with us to identify where people are peddling drugs, and their insight has delivered dividends. DCI Mike Hamer, Tower Hamlets Crime, Gangs and Drugs lead, said: “The public can continue to play a very effective role in helping the police”. Weavers Community Action Group representative Jonathan Moberly said: “This is a really positive step towards tackling a problem that adversely affects Weavers’ residents daily. It is great to see the police and community’s hard work is bearing fruit and we urge local residents affected by drug dealing on the streets to get in touch to find out how they can get involved”. This story was reported in the East London Advertiser on 14 February 2019 and can be read in full here. This entry was posted in Uncategorised, WCAG on 18th February 2019 by Penny Creed. To receive this and future newsletters to your inbox, sign up to our mailing list. This entry was posted in Uncategorised on 11th February 2019 by Penny Creed. 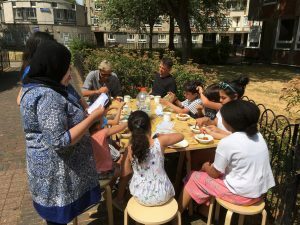 Gareth Furby, BBC reporter and documentarian has spent time with CTRA residents and members of the Weavers Community Action Group (WCAG) to understand the impact of open drug dealing on our streets for a film piece on BBC’s Inside Out London (aired 14/01/19). Filmed in late 2018, the piece shows footage of drug deals in progress and highlights work the WCAG has done to draw attention to the problem and organise crowd-sourced evidence gathering for police and other agencies. The film also shows what other Tower Hamlets residents in Wapping are doing to combat ASB in their area. The film is available here to view in full. This entry was posted in Uncategorised, WCAG on 25th January 2019 by Penny Creed. Deck the CTRA Community Cart! 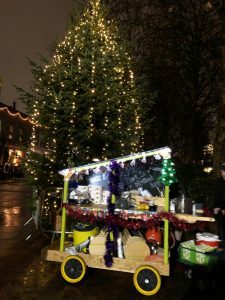 The CTRA Community Cart probably had its final outing of the year this week as volunteers from the Cart Steering Committee festooned it with tinsel and wheeled it down to Columbia Road for the first of this year’s Christmas Wednesdays. Locals and passers-by were plied with hot mulled apple juice, mince pies and an opportunity to chat to residents as carol singers sang around the Christmas tree. We’re starting to feel a little festive now! 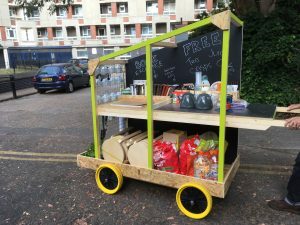 The Cart Steering Committee is currently planning activities for Spring 2019 onward, if you would like to get involved by bringing ideas, DIY skills and/or perhaps support at some of our events, please do get in touch by emailing Jenny Dunn. This entry was posted in Uncategorised on 29th November 2018 by Penny Creed. 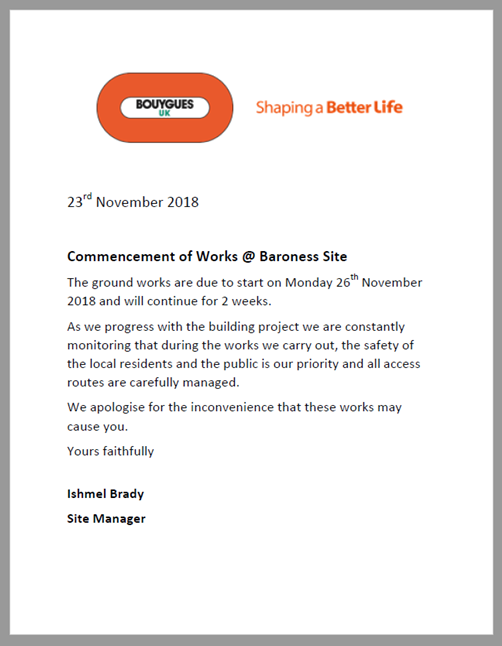 We have today (23rd November 22018) received a Commencement of Work Notice from Bouygues. Ground works will start on Monday 26 November and continue for 2 weeks. They apologise for any inconvenience. Further information about the development including contact details for Bouygues can be found on our dedicated page. This entry was posted in Uncategorised on 23rd November 2018 by Penny Creed. Given that we don’t currently have a community centre, the CTRA Cart is an important asset for the community. To ensure that it is properly looked after and utilized in the community the CTRA is looking for local people to join a CTRA Cart Steering Committee. This is a fun project about bring our community together and making the most of the outdoor space we have. This entry was posted in Uncategorised on 9th November 2018 by Penny Creed. This entry was posted in Uncategorised on 7th November 2018 by Penny Creed. Our children’s football training sessions have become very popular so much so that we’re looking for additional local volunteers to join the coaching team. Volunteers need to be available most Sunday afternoons for two hours. We will pay for DBS checks and other training if required. 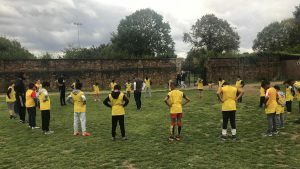 For our coaches it is proving to be a fun way to keep fit and do something positive for local children and young people. Email sports@columbiatra.org.uk for more information and to apply. This entry was posted in Uncategorised on 23rd October 2018 by Penny Creed. This entry was posted in Uncategorised on 2nd October 2018 by Penny Creed.